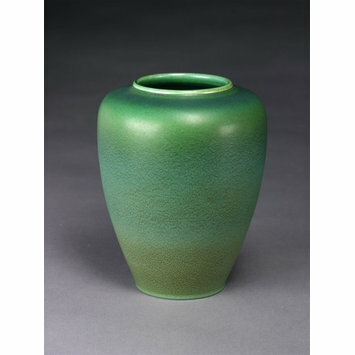 Vase of white earthenware, with depressed shoulder and wide mouth, covered with a matt green eggshell glaze, graduating to the base and mottled with brown. 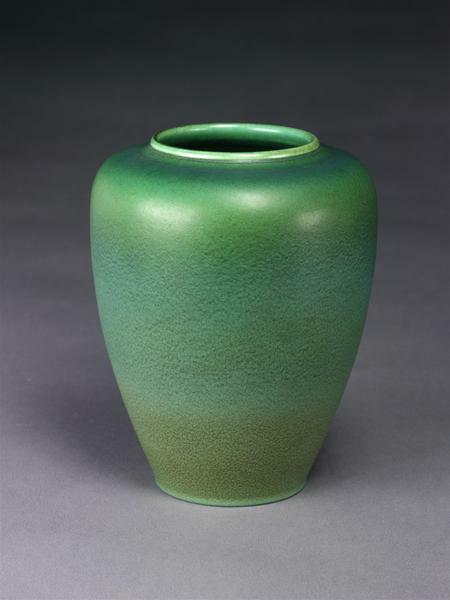 Vase of white earthenware, with depressed shoulder and wide mouth, covered with a matt green eggshell glaze, made by Pilkingtons Tile and Pottery Company, Clifton Junction, 1903-1904. Lomax, Abraham. 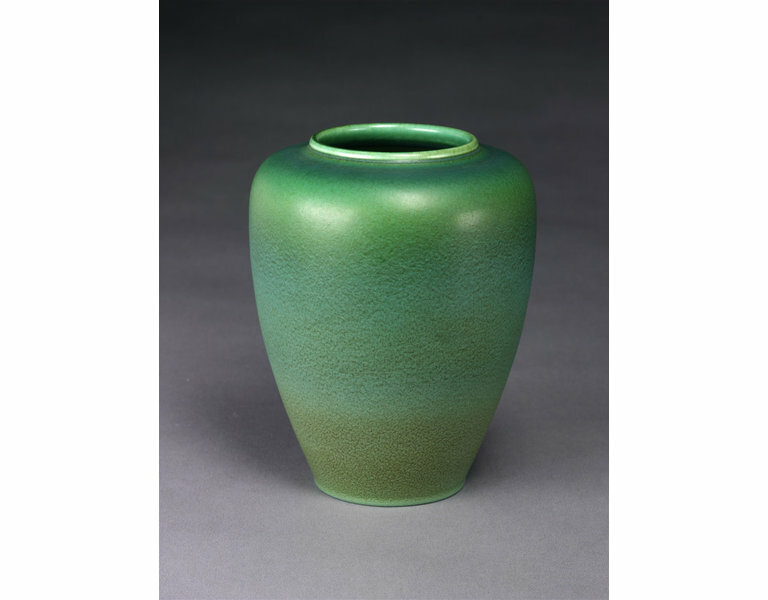 Royal Lancastrian Pottery 1900-1938. Bolton, 1957.